We are living in a hectic and busy life, and hence we all tend to fell prey to various bad habits. Most of the time we fail to find the harm behind these habits. Most of the time, these habits initially appear less harmful to our health but when we look at these bad habits on a long-term perspective, we might feel alarmed about the potential threats these bad habits can have on our health. By the time we realize it, we might be too late to reverse the damage created on our body and health. There are a lot of bad habits and small actions that has a negative effect on our teeth. 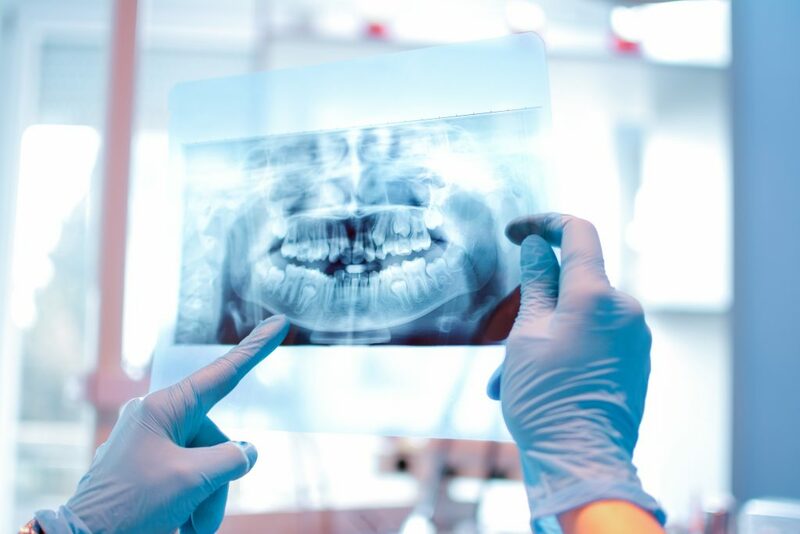 Our teeth is one of the most important part of our body and if it gets damaged or infected, the pain associated with that will be very much terrible. So, we always need to make sure that we maintain proper cleanliness for the better state of our teeth on a regular basis. We also need to get rid of certain bad habits and rectify certain actions that we do on a day-to-day basis. Here are common habits that can be harmful for your teeth’s health. We use our teeth for consuming food, but we often end up using them as our primary tool for several activities. We often use our teeth to open a bottle, bite nails, chew ice etc. But these activities can cause damage to the teeth and should be avoided. Biting the nails is one of the most common habits that is found these days and this is a habit that can prove harmful to your teeth in the long run. It can very much damage the shape of your teeth and once it starts affecting your teeth, you will start experiencing severe teeth pain. Its best to avoid such a bad habit and make sure that your teeth remain healthy and strong. Tobacco is one of the deadliest habits. Tobacco use has a lot of serious health issues and most of these issues are life threatening. The use of tobacco will also make sure that you have gum problems on a regular basis, which will also damage your teeth. So, stay away from tobacco for a better health, teeth and smile. Chewing of ice seems harmless, but the irony is that chewing of ice is not a good habit for your throat, as well as your teeth. Your teeth and its roots will always stand a chance of getting damaged by the regular chewing of ice. You might get some pleasure while chewing the ice, but at the same time you are risking the health of your teeth. Whenever we eat certain type of food materials, especially chicken or meat, a lot of the good residue will get stuck in the gaps of our teeth. This will be distracting for us and hence we will seek the help of tooth picks to get rid of those food materials from our teeth. If you are not using the tooth pick in the proper way, then you are certainly going to damage your gum and teeth in a bad way. We all love sugary foods and beverages and at times we cannot resist ourselves from having such food items. Sugary foods and beverages might taste good, but it is very much harmful to our teeth and damages our teeth drastically. A continuous consumption of sugary foods and beverages might damage your teeth causing gum infection and toothache. Brushing our teeth is one of the most basic actions that lead to a better and healthy tooth. Majority of the people make sure to brush at least twice in a day to make their teeth shine better and remain healthy. If you are not brushing your teeth regularly, you will be risking the health of your teeth and the chances of it getting decayed becomes higher. Some of us have the habit of grinding our teeth even while asleep and this is something that can take a toll on the enamel, leading to other dental health problems. So, if you are serious about the health of your teeth, then it is better to make sure that you avoid the habit of grinding your teeth. Tooth-brushes are an essential part of maintaining the cleanliness of our teeth and hence it is something that we cannot compromise upon. Most of the time we might be using a toothbrush having hard bristles, which are very much harmful to our gums. Always make sure that you use a toothbrush that have soft bristles and do not damage the gums in any ways. Soda or Pop, is a drink that we often consume to get rid of our thirst. It is fine to drink soda once in a while, but if it becomes a regular habit, it can become harmful to your tooth. Soda can easily damage the enamel and make your teeth weak and infected in the long run. So better stay away from soda and other carbonated drink whenever possible. The above tips can be very much beneficial for maintaining the overall health of your teeth and remember that once you start losing your teeth, life will not be the same again even though you can compensate it through various implants. Dr. Saunders and Dr. Lim are meticulous in their work and are comfortable to talk to. I've had crowns on my front teeth since age 16. Three dentists treated me prior to Yellowstone Family Dentistry. Now that I am 63 Dr. Saunders has replaced the crowns with 3 implants. My teeth haven't felt this natural since my twenties! My two year old little girl was in need of some rather intensive dental work. She needed caps and some fillings. She has had problems with her front teeth since she was very young. I had been seeing another dentist in town, even thought she did not accept my insurance. She was also not authorized to perform the necessary work my daughter needed, since she would need to be under anesthesia in a hospital setting. I had two other consultations and was so unsure of both. I was finally led to Yellowstone Family Dentistry by another dentist. This was wonderful. Not only did they accept my insurance (Healthy Families Deltal Dental) they have hospital rights, and my daughter really liked the facility, and all of the staff. This was such a breakthrough for us. We saw Dr. Saunders and she performed the necessary work my daughter needed at the Skyway Surgery Center. My daughter came out of the surgery with flying colors. Her recovery was fast and she is doing great. Dr. Saunders and all of the staff were so kind and helpful! The surgery center is a wonderful facility. They all really made a difference for my daughter, and for us. I would recommend Yellowstone Family Dentistry to anyone looking for a wonderful dentist and a great experience.